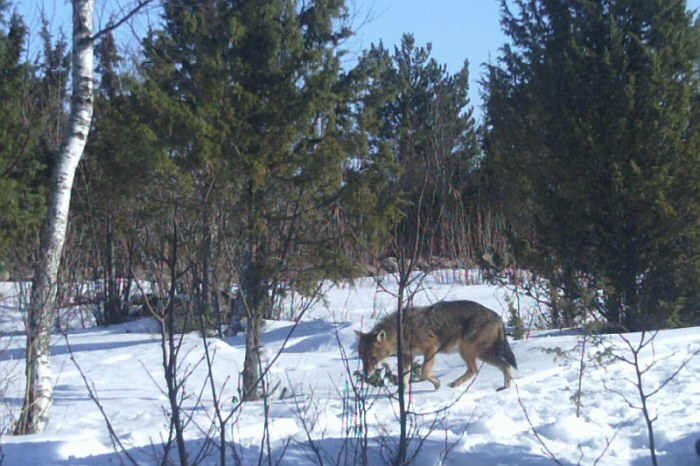 Trail camera photo of a golden jackal in Estonia. Source. One story that has missed much of the English-speaking press and English-speaking scientists is that the golden jackal’s range in Eastern Europe has now expanded to the Baltic nations of Latvia and Estonia. These smaller, more primitive wolves are actually doing pretty well and have expanded their range. Coyotes in North America now range from Alaska to Newfoundland down to southern Panama, and the golden jackal, which ranges across northern and East Africa across southern Asia to Cambodia, is also expanding its range. However, in the past few decades, golden jackals have spread northward into Austria, Slovakia and Southern Poland. It was thought that these jackals would be unable to go deep into Eastern Europe, simply because golden jackals were thought to be unable to handle the cold very well or wolves would check their advance. In 2011, though, something strange happened, a woman in Western Estonia (Lääne County heard unusual howls in the night. In that a wildlife researcher named Liisi Laos found the tracks of unusual canid tracks in the same region. These tracks came from four individuals, and they were thought to be golden jackals. 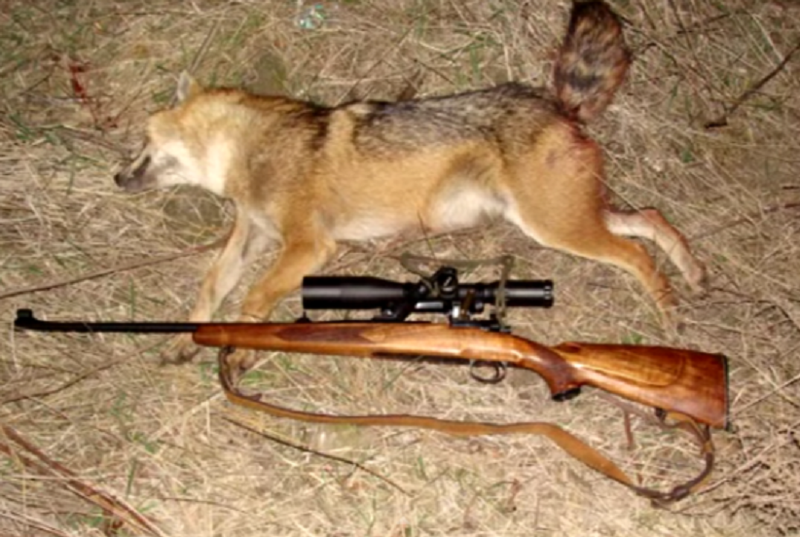 In 2013, hunting dogs killed a jackal, and now, it’s pretty much accepted that golden jackals are in Western Estonia. Their range has also expanded into nearby Latvia, where they were confirmed last year. The questions about these jackals are rampant. Because there was no record of jackals in northern Poland or in Lithuania, it was suggested that someone brought them in to Estonia. However, that suggestion seems less likely because it turns out that jackals are in Ukraine and Belarus. That means that the jackals of the Baltic could have come up from Romania or southern Poland into Ukraine and then up through Belarus into Latvia and Estonia. (Which would be the reverse of where they were first documented). The reason these jackals remained undetected is because this region is not heavily populated. Eastern Europe is much, much wilder than the West, and the golden jackals could have been mistaken for young wolves and generally ignored. There is some suggestion that climate change has allowed these golden jackals to colonize such a cold part of Europe, and there may be something to it. However, this part of Europe has much harsher winters than Western Europe, which means they could be on their way to colonizing all the way out to France, Spain, and Portugal. Modern Europe isn’t such a bad place for a jackal, and we do know that a jackal-like canid lived in Europe during the Pleistocene. It was called Canis arnensis, and it could have been an ancestor of the golden jackal. So there is some precedent for these sorts of canids in Europe. Indeed, one of the proposed ancestors of the modern wolf is Canis mosbachensis, and it was not much larger than a European golden jackal. So maybe conditions are favorable for a little primitive wolf to colonize Europe once again. And before anyone freaks out, I’ll just give you an idea of the size of the golden jackal in Europe. This is a photo of an individual that was killed in Bulgaria. We’re not even talking Eastern coyote-sized animals, but they could be important competitors for red foxes and the invasive raccoon dogs that have spread throughout the region. So Europe might have its own little coyote very soon! It is kind of a contrary situation. Wolves are also on the increase in Eastern Europe and on the move into Western Europe. It was the extirpation of wolves in the eastern United States that made way for the eastward spread of the coyote. Yet in Europe both events are happening at the same time, wolf numbers are increasing and a smaller canid is moving into previously unoccupied territory. Climate change may be one factor. The fall of the iron curtain may be another. Lewis and Clark referred to coyotes as “prairie wolves” in their journal. That term was later replaced in American English by “coyote” borrowed from Mexican Spanish which in turn got the word from Nahuatl “coyotl”. If the Lewis and Clark expedition had included a British gentleman naturalist in their company we might now be talking about “American jackals” instead of Coyotes. Easter coyotes are actually part wolf. Turns out they can breed. That is why they are so much larger than eastern coyotes. When they first arrived out east, we called them coy-dogs. Turns out when DNA’d they are coy-wolves. Yep. I’ve been able to capture a few Eastern ‘otes on the trail camera.